Trump's former campaign foreign policy adviser George Papadopoulos was sentenced to 14 days in jail, the first campaign official to be sentenced as part of Robert Mueller's probe into Russian election interference. 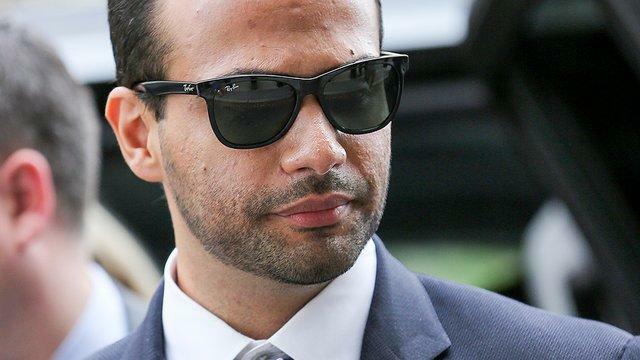 Papadopoulos was sentenced to one year of supervised release, 200 hours of community service and a $9,500 fine. Papadopoulos pleaded guilty in October 2017 to making false statements to the FBI about his contacts with Russia nationals and efforts to arrange a meeting with the Trump campaign and the Russian government. During the sentencing, Papadopoulos’ lawyer told the judge that he was motivated to lie in part by Trump characterizing investigation as "Fake news." Prosecutors had asked that Papadopoulos be jailed for up to six months and face a $9,500 fine for his crime. They argued in a recent court filing that his false statements "caused damage to the government’s investigation into Russian interference in the 2016 presidential election.” Papadopoulos's defense attorneys, meanwhile, pushed for one year of probation, arguing that their client did not do deliberate harm to the investigation. The former campaign aide attracted widespread attention last year after becoming the first Trump associate to plead guilty and cooperate with prosecutors in Mueller's probe.